Enraged Spider is a hostile mob found exclusively on EMC. Its release was part of the second phase of the Survival Updates. 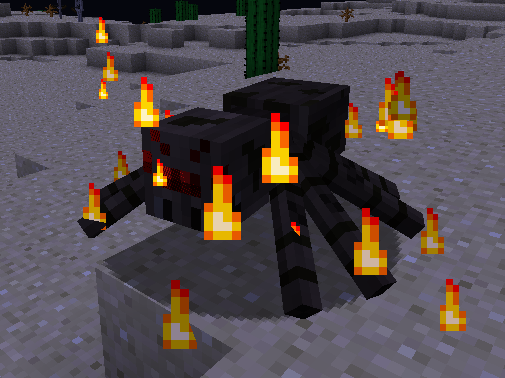 This mob is a faster, stronger, and rarer version of the normal Spider mob. It has a fiery particle effect. It is unique (as an Enraged mob) in that it doesn't automatically attack you during either day or night - only when you agitate it first. As Spiders do not deal poison damage, Enraged Spider does not drop Venom.